Although knowing the answers to Trivial Pursuit questions once was a sure way to win the game, in today's world being tech savvy may give you the winning edge. When Scott Abbott and Chris Haney created the game Trivial Pursuit, they had no way of knowing how popular the game would become. In 1984, just four years after the Canadian duo thought up the question and answer game, in the United States alone there were sales of more than twenty million games. The list of Trivial Pursuit game editions is vast, with special editions being made for popular movies, Disney characters and many other fields of special interest. In all of the master editions of Trivial Pursuit, the question and answer cards are interchangeable. In addition to master editions of the game, there are also mini editions, card sets and Trivial Pursuit game books. Besides the game board editions of Trivial Pursuit, there are online games and versions to play on your computer, X-box, Play Station and cell phone. Playing digital or electronic versions of the game gives players the chance to look up the answers to Trivial Pursuit questions before choosing their answer. Although some players may consider this cheating, others call it tech savvy playing. On the Play Station 3 version of the game, you can hit the controller's PS button and pause the game, giving you plenty of time to find the answer on Google or any website of your choice. X-box Live players know that all they have to do is unplug their controller to pause the game which stops the game timer. Once the game pauses, they look up the correct answer to the question on Google or another favorite search engine. Even online versions of Trivial Pursuit are not free of ways to find the answers to difficult questions. Known as Trivial Pursuit cheats, Trivia Know It All, Trivia Master and Trivia Buddy work with the game on the Pogo website. These cheats answer the questions for you and put your Trivial Pursuit game on autopilot. Another version of the game is the Trivial Pursuit: Digital Choice Edition. Although the board resembles a regular Trivial Pursuit game board, there are not any pictures representing the game's categories. This is because the players get to choose the categories. The question and answer cards have been replaced by an electronic unit with an LED screen where the questions, answers and categories are displayed. 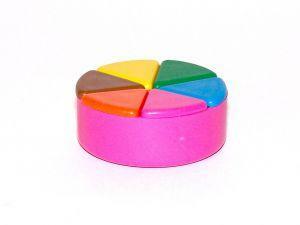 There are many websites that offer hundreds of free Trivial Pursuit questions and answers. Make your own Trivial Pursuit game using these questions and answers or add them to your existing game.